March absolutely flew by, it might have something to do with the fact that my wedding is less than 60 days away or the fact that I've only got just a few weeks of school left. Somewhere in the middle of all of that, I did come up with a few favorites to share with y'all. 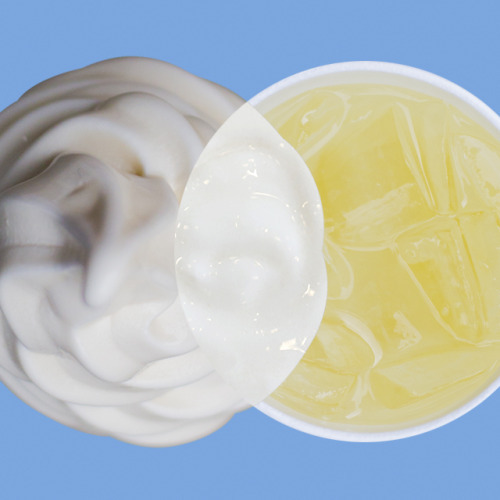 If there was a taste that is decidedly Spring, it's this frosted lemonade. It tastes like you're drinking lemon pie filling in a cup, seriously. Go to your nearest Chick-Fil-A & pick one up, you can thank me later. Are you counting down the days until the Lilly for Target line is released? Not only are the colors amazing and perfectly Lilly, but there are so many great home items & even plus sizes...and Essie/Lilly nail polishes! If you only have a few seconds to watch one video, watch this one. It can make a bad day good, because this is the most "awwww!" video ever! I had several friends growing up that danced ballet, some still do at the college level. This level of dedication is so serious, the drive that it takes is incredible. And is there anything more beautiful than a dedicated dancer? My favorite beauty products of the month are Tease perfume by Victoria Secret (I'm still holding onto my samples from there!) & my Yes to Carrots moisturizer, which is the only thing keeping my skin hydrated now that I've started going to the tanning bed to prep for the wedding. Tim has long been one of my favorite country artists and although he has drifted over to the modern side before (anyone remember him circa Nelly, over & over again?) this song is so traditional it makes me want to squeal! This song is so bittersweet, perfect for those of y'all that are in a position that lots of twenty-somethings are, the boy you loved has turned into the man that is marrying someone else. I hope y'all enjoyed my picks from last month, I know it wasn't a lot but I didn't have time to stop and love a whole bunch of things & my wardrobe was pretty lame-the name of my game is comfort! Make sure to follow me over on Instagram at SouthernStylista and on tumblr as well! Wow that pointe video was incredible! I am totally in awe of all dancers, but ballet specifically! It takes such discipline & skill! 60 days until your wedding?! How exciting. I'm helping my best friend with planning for her wedding and it's so much fun! I can't wait for Lilly for Target to hit stores! I didn't know Target is coming out with Lilly line.I'm sooo excited! Happy Easter! It's so great, I hope you get a chance to take a peek at the look-book, they've got some great stuff! March went by way too quickly! Don't get me wrong, I definitely welcome April and its hopefully warmer temperatures, but I can't believe we are already in the fourth month of the year! It feels like 2015 started yesterday. 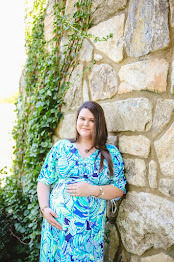 I'm excited to see the Lilly for Target collection release... I can't wait! I'm definitely looking forward to April & the Springy temps :) But I'm to the point in my life where I don't want to wish the days away, I want to enjoy every single one! I have wanted to try that Chick Fil A frosted lemonade! It looks perfect for warmer weather :) My favorite country sound is 'Love You Like That' by Canaan Smith. He opened for someone famous (can't remember who) a long time ago and I loved him then! Glad one of his songs is really making it mainstream. I need to try that lemonade! I was there yesterday, but I didn't think of it until I had already paid for a regular lemonade. I super loved that pointe shoe video - one of the most exciting moments of my dance career was getting my first pair of pointe shoes!! I'll never forget a random girl coming in and trying to purchase a pair to wear with her prom dress, and how insulted we were. And I'm in love with that Tim McGraw song! GREAT ROUNDUP! Ahh! And I'm totally with you on the pointe shoe issue, you have to earn those to get them! I have so much respect for dancers of all kinds, but especially ballet! Lilly is always a winner in my book ;) Thanks for stopping by! So excited for Lilly for Target! Love the ballet video! I did ballet up until college! I miss it so much! Ah, so cool that you were a dancer! I have so much respect for all dancers, but ballet especially! I can't wait for the Lily Pulitzer collection! Their home decor is super cute. I know, I absolutely cannot wait to add a few fun pieces to my house! That sounds absolutely amazing, I can't wait to join up with you ladies!